Courtesy of RE/MAX Alliance-FTC South, Dennis Schick. 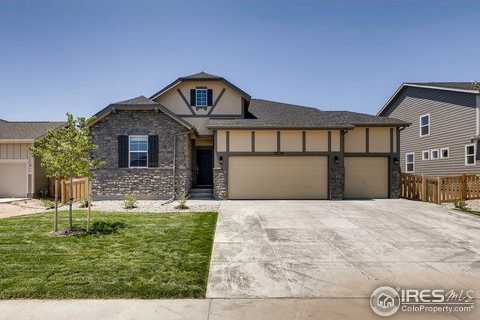 Great new ranch by William Lyon Homes at an unbeatable price! Open through kitchen & great room is set perfectly for entertaining. Great rm w/gas fireplace w/floor to ceiling stone surround & wood mantle. Kitchen has granite, 42in maple cabinets. Master w/5pc bath & walk-in closet. Formal dining & office. A/C. Covered back porch & a HUGE lot backing to open space. Front yard landscape & full fence. Please, send me more information on this property: MLS# 856489 – $439,900 – 5239 Odessa Lake St, Timnath, CO 80547. I would like to schedule a showing appointment for this property: MLS# 856489 – $439,900 – 5239 Odessa Lake St, Timnath, CO 80547. This content last updated on April 23, 2019 19:04. Some properties which appear for sale on this web site may subsequently have sold or may no longer be available.